Shimla or Mussoorie: What’s On Your List? No doubt, being from Uttarakhand and having been traveled to the place quite often, I have a soft corner for Mussoorie and will always have. 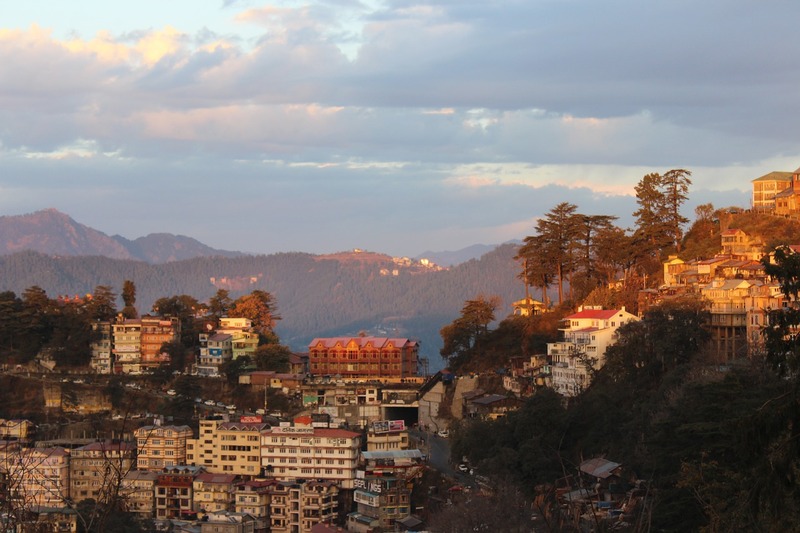 Both Shimla and Mussoorie are frequently visited by the young and old crowd. 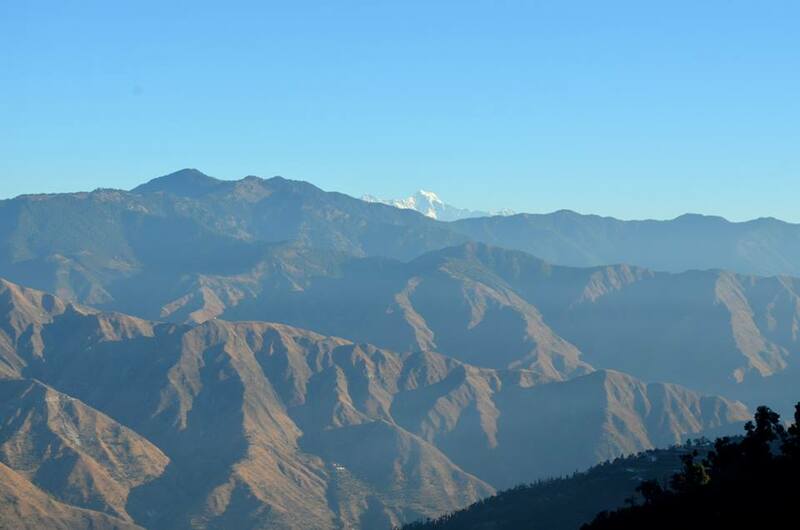 All of us have different preferences, although Mussoorie and Shimla aren’t too different from each other. It’s time to face the music. Well, the Mall road Shimla any day. I have walked miles and miles on both the Mall roads. So I qualify to criticize both of them. 😛 So, the Mall road Shimla is less crowded and there are some happening cafes and old bakeries, which serve utterly delicious food. How can I forget the different style chola kulchas that you can enjoy while sauntering along the Mall! If I talk about Mussoorie, then you may not enjoy taking a walk down the road as it is crowded during tourist season, which is from April-June: The months witness the pleasant climate. If you are looking forward to seeing snowfall (which is an uncommon site in Mussoorie now due to global warming) should visit Mussoorie during winters (Jan). I have always enjoyed walking down the Camel’s Back road, the hue of the evening sky and the golden rays of the rising sun have a calming effect on my mind. The evening and early morning walks are just irresistible if you love walking. Not many people take the Camel’s Back road since the Mall is popular. But I would suggest you to take the road, for it is serene and mostly isolated. The majestic and lively hills of Mussoorie anytime of the year. They say home is where the heart is; my heart resides in every corner of the Himalayan hills, Shimla too. There are so many unknown hills in Mussoorie such as Happy Valley that one can visit and the ones that are away from the crowd. 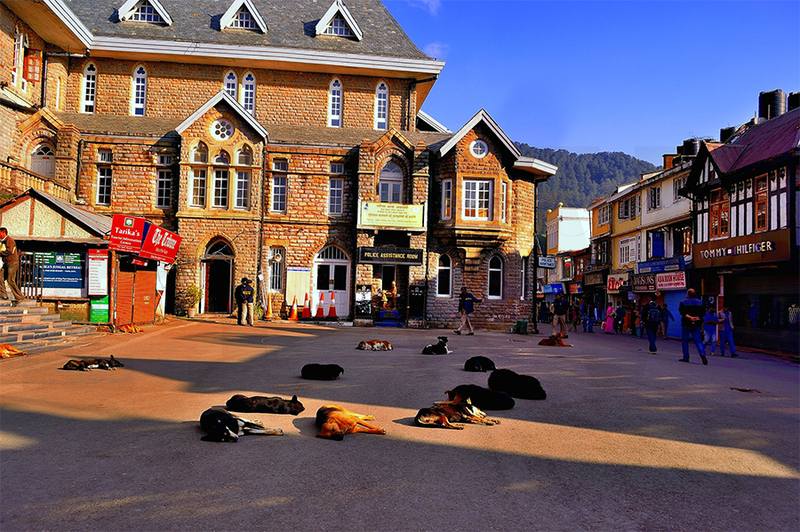 The beauty of the hills of Shimla has been destroyed by the frequently increasing numbers of hotels and resorts. 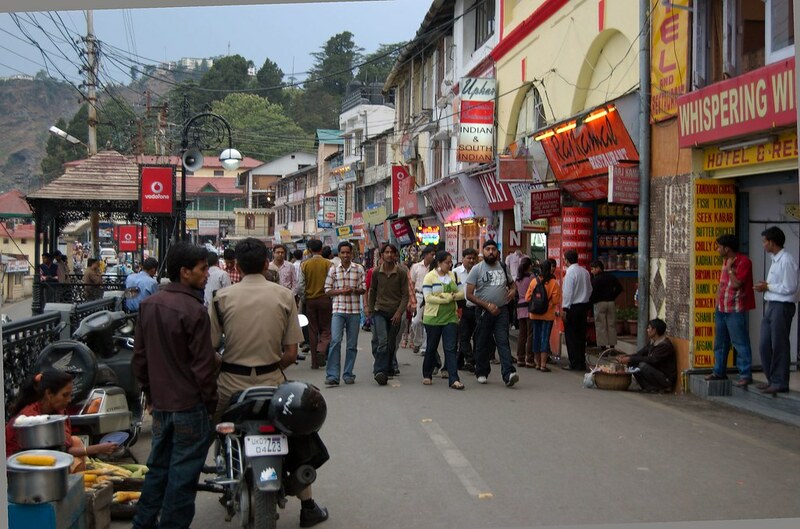 The wonderful hills of Shimla ruined by commercialization. Still some beauty is left in the hills of Mussoorie. Well, I’m not a foodie so can’t say much, but I enjoyed the food in Shimla. 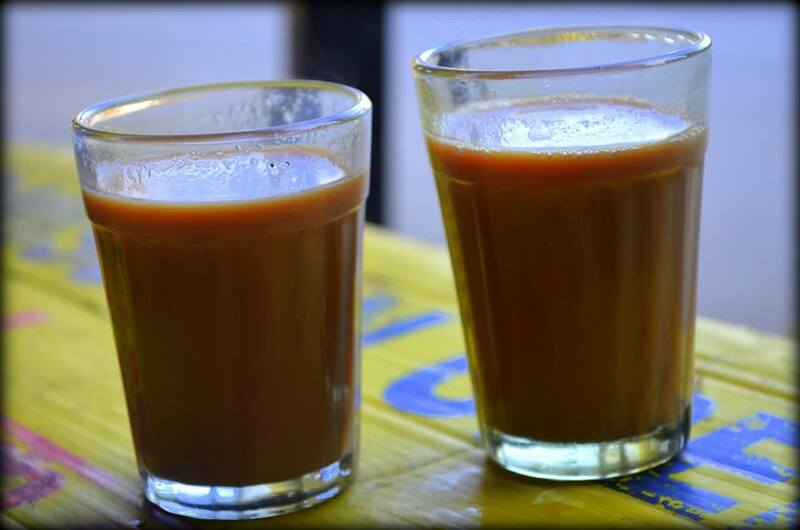 You can grab a yummy bite almost anywhere in Shimla. As I mentioned above, the chole kulche are insanely tasty. Don’t miss Krishna Bakery, they have the best pizza (desi style) and delicious dim sum. Then you have the famous paratha wala, which is just a few kilometers drive from Shimla. When you drive uphill to Jaakhoo temple, there are plenty of street vendors selling delectable desi burgers and parathas. I’ll do a separate post for Shimla’s food and its roadside stalls. Mussoorie doesn’t have many street food options, but it boasts some of the best restaurants in Uttrakhand. 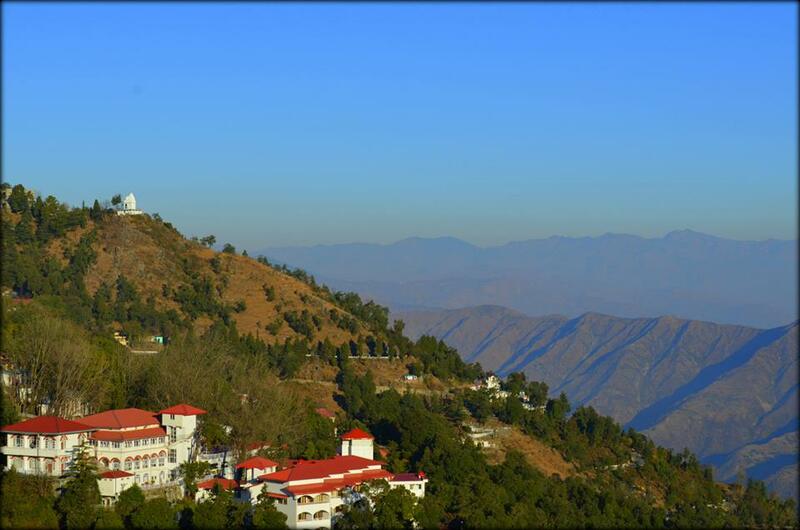 No doubt, Shimla boasts more tourist attraction, but then Mussoorie has its own charm that casts a spell on all of us. Every place is beautiful if only you have the eyes to see it.